Do you know what has been celebrated officially on April 30 since 1999? As you know, our calendar is full of celebrations and holidays. We commemorate Father’s Day, Mother’s Day, Secretary’s Day, Bosses’ Day, Labor Day, Thanksgiving Day, Cinco de Mayo, African American Read-In Chain, and Latino Read-In Chain. We celebrate almost everybody and everything. However, before 1999, we were officially ignoring our children in our celebrations. It all started in 1997, when teachers and librarians began to celebrate April 30 as Children’s Day/Book Day -Día de los Niños/ Día de los Libros . Since then, libraries, museums, schools and book stores organize activities to celebrate the work they do throughout the year: opening the world of books to all children. Since 2004, the Elgin Community College library, and the Gail Borden Public Library started celebrating Children’s Day/Book Day. April 30th can become a day for remembering the power of words and books in the lives of our young people and for honoring all the languages spoken in the homes of this country. We are celebrating on weekday when we are all here. 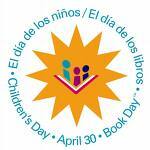 Stop at the ECC library this Thursday, April 29th at 10:15 and 11:15 a.m. for two Children’s Programs to celebrate Children’s Day/Book Day – Día de los Niños/ Día de los Libros, and watch Gayle Chiarugi, from Gail Borden Public Library, read, sing, and tell stories from children books. Give your children the best possible gifts for Children’s Day/Book Day -Día de los Niños/ Día de los Libros: read them a book and give them a book!